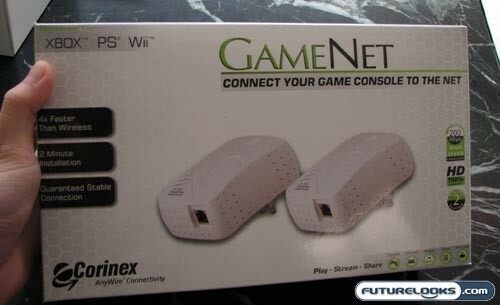 Futurelooks checks out the Corinex GameNet Powerline Networking Kit. Although it is marketed as a solution for game consoles, it works perfectly fine as an extension for that WiFi-less PC that is nowhere near an ethernet jack. At 200 mbps, it should handle most of your networking needs. Check out the review.